Instant messaging apps have gained massive popularity over the years, and have become a great way to stay connected with your friends and relatives. Not just this, they have also evolved as a handy tool for several big and small organizations in streamlining the communication with their teams and customers. 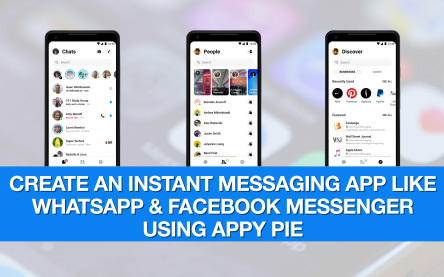 Watch the entire video and find out how you can build your own instant messaging app like WhatsApp and Facebook Messenger in just a few minutes, without writing a single line of code! This entry was posted in Vlog on March 29, 2019 by DJ.